Located in Puerto Vallarta, Flamingo Vallarta Hotel & Marina is on the boardwalk, within a 15-minute drive of Bay of Banderas and La Isla. 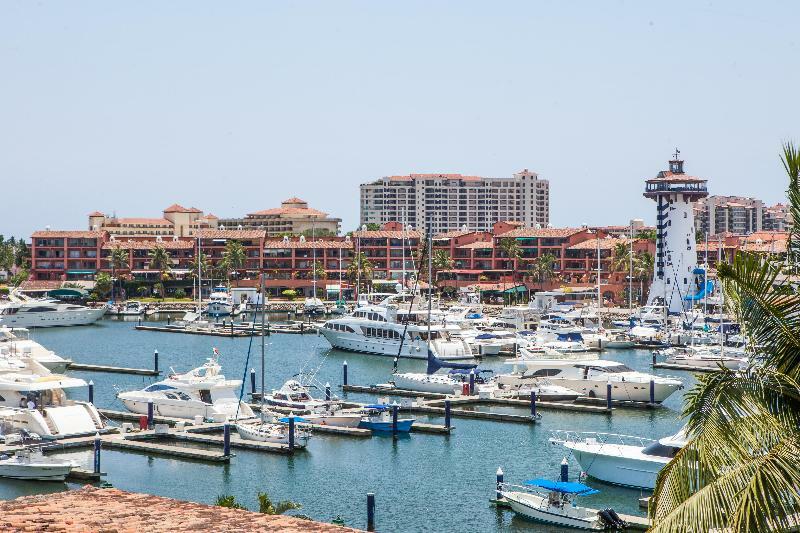 This golf hotel is 4.4 mi (7.2 km) from Malecon and 9.6 mi (15.5 km) from Vallarta Adventures. Make yourself at home in one of the 96 air-conditioned guestrooms. Rooms have private balconies. Complimentary wireless Internet access keeps you connected, and digital programming is available for your entertainment. Bathrooms have showers and hair dryers. Enjoy recreational amenities such as an outdoor pool and a fitness center. This hotel also features complimentary wireless Internet access, concierge services, and babysitting/childcare (surcharge). All-inclusive rates are available at this hotel. Meals and beverages at onsite dining establishments are included in all-inclusive rates. Charges may be applied for dining at some restaurants, special dinners and dishes, some beverages, and other amenities. Grab a bite to eat at LA PALAPA, a poolside restaurant which features a bar and a pool view. You can also stay in and take advantage of the room service (during limited hours). Quench your thirst with your favorite drink at the poolside bar. Buffet breakfasts are available daily from 7:00 AM to 11:30 AM for a fee. Featured amenities include dry cleaning/laundry services, a 24-hour front desk, and luggage storage. Free self parking is available onsite.